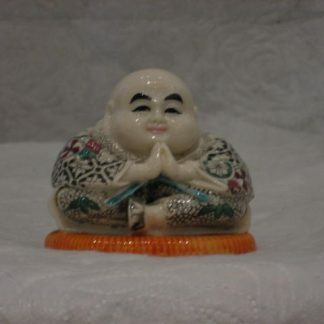 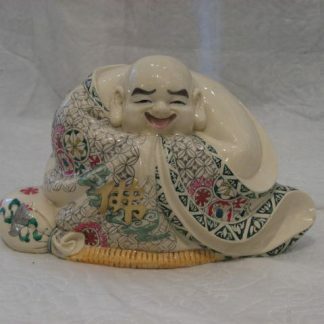 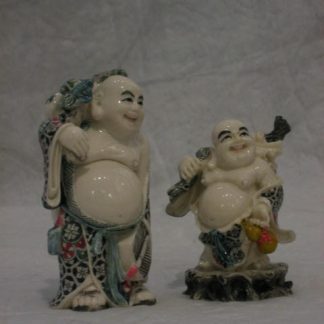 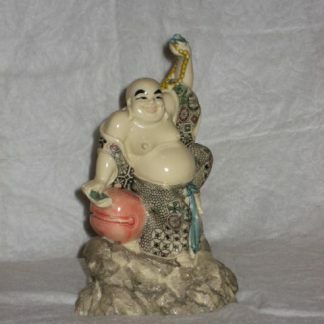 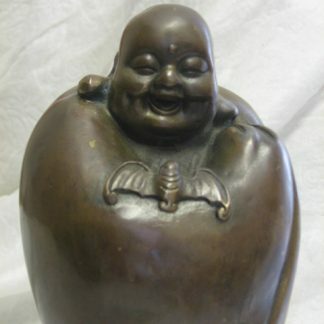 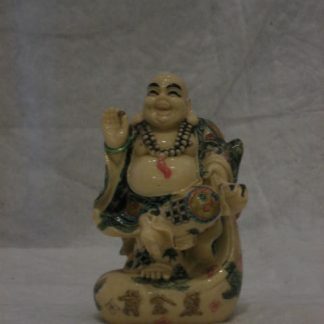 Happy Buddha (he has different names in different regions); he is always represented as very stout with breast and upper abdomen exposed to view, and he is laughing. 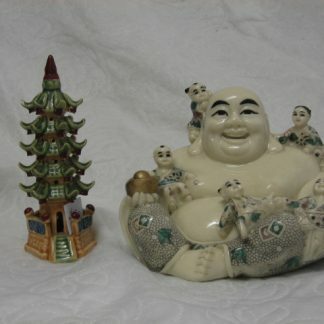 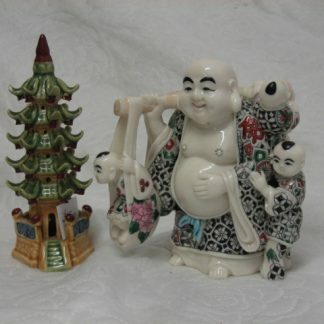 Known as the ’Laughing Buddha’, he is occasionally surrounded by children, the number of which varies from one to eight (four is excluded). 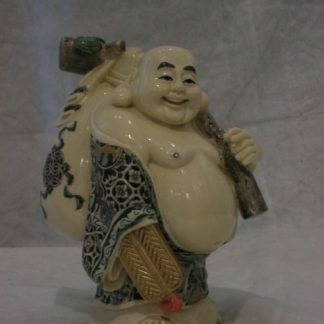 People believe he brings joy and wealth to the family. 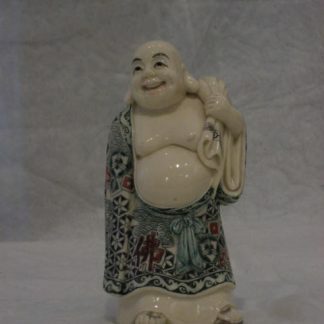 He is one of the most popular (collective) figurines in Europe. 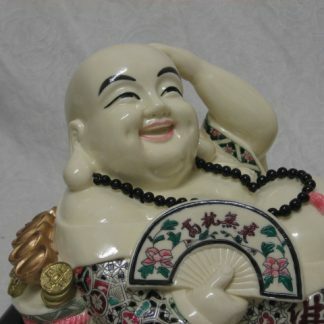 Buddha sitting on a large YuEei.